As you’ve probably read, authorities believe that Boston Marathon Islamic terrorist Tamerlan Tsarnaev is behind the triple murders of three men, including one who was his friend. But what you probably didn’t know is that all three men–who were stabbed to death on the tenth anniversary of the 9/11 Islamic terrorist attacks–were Jews. It appears that this is why they Tsarnaev murdered them. He targeted them because he was a Muslim, and their “crime” was being Jewish. Their stabbed, bloody bodies were found on September 12, 2011. Remember, THIS. IS. 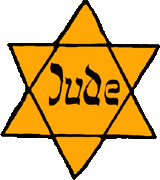 ISLAM. . . .
Reports identify Brendan H. Mess, 25, Rafael M. Teken, 37, and Erik Weissman, 31, as Jews. And while some FBI agents and Boston PD officials want to tie the murder of Weissman to drugs, that’s a red herring. The one thing the three had in common is their ethnicity and religion: they were Jews. But the agenda of federal, state, and local law enforcement is to make us believe that Muslims don’t target Jews, that we all “Co-Exist” in America in peace (an absolute fraud), and that we should not fear for our lives around Muslims, the way Jews in France do. I know, firsthand, that that is bunk, since I’ve received multiple death threats from Americans, and every single one of those is from a Muslim–some of them convicted in federal court for it. They are not in Riyadh or Cairo or Tehran or Paris or London. They are on American soil. As a Jew in America, I know that I am a target of Muslims because on a regular basis, Muslims let me know it in very explicit terms. Sadly, most of the self-appointed, unrepresentative “leaders” of the organized Jewish community don’t want you to know that Muslims on American soil kill Jews on American soil, merely because they are Jewish. But it’s happened repeatedly throughout the last several decades. This isn’t the first time. It’s just the latest. 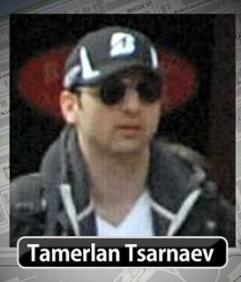 More about the Tamerlan Tsarnaev’s stabbing victims from Wicked Local. When Meir Kahane was murdered, law enforcement did not pursue the issue. Afterall, he was a “radical.” I believe that if they had done so then 911 might have been prevented because his assassin was linked to the terrorists who hijacked the planes. Likewise, if law enforcement had followed up on the murder of three young Jewish men on the tenth anniversary of 911 then the Boston Massacre might have been prevented. Thgey start with the sabbath people then they get to the sunday people. Lol! Good luck with that. I wonder why Obama hasn’t been getting the parents and victims of the Boston bombing paraded out in front of the cameras like he did the Sandy Hook parents and victims? I guess if a mass killing doesn’t have any political capital to exploit those victims don’t matter to Obama. Yes if there were an equal ratio of men to women in the survey it could also be that women like themselves better than men do. I wonder if that is still the case in other countries where women are oppressed? Anyway it was a throw away question. Another point of similarity between the rise of Nazism and Islam since this is something that interests me. 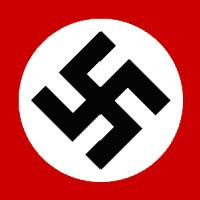 Many people did not take Mein Kampf seriously or bother to find out what was written in it prior to WW II. 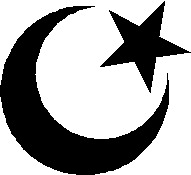 In many ways people today also do not take Islamic doctrine seriously. It was assumed I think prior to WW II that the Germans had certain justifiable grievances and that they would grow out of radicalism if given the proper encouragement. Well although the situations are not necessarily directly comparable we all know where that lead. That most Americans seem to hold Jews in high regard is not of much use if it turns into France. Many French people may have warm feelings towards Jews or not, I don’t know.